In the end, Leon Washington's holdout from Jets camp was more symbolic than anything else. He didn't show up on Thursday for a day of checking in and getting acclimated, but Friday morning found number 29 in uniform, participating in drills and acting like he wasn't steaming about the team's refusal to give him a new contract. The holdout may have been a brief one, but that doesn't mean that everything's been swept under the rug. Washington is unhappy that the Jets haven't shown any urgency to extend his contract this offseason, mostly because they know that, barring a new collective bargaining agreement, Washington will be a restricted free agent whose opportunities away from the Jets will be limited. Staying away from camp on Thursday symbolized that unhappiness, and that's not something that the Jets should ignore. They shouldn't ignore it because Washington is an incredibly important part of the team's plans this season. Whoever is playing quarterback will need a reliable receiver to catch short passes and turn them into big gainers, the offense has no other player who is a threat to score on every touch and their running game is going to need all hands on deck to keep the chains moving. 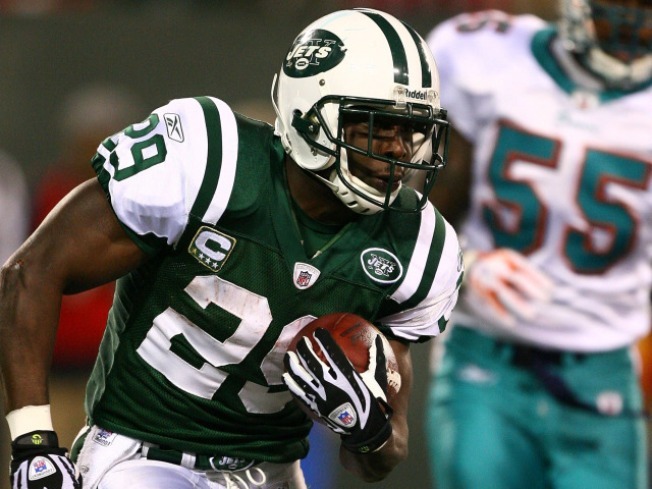 Throw on his kick return brilliance, and you can count on one hand the players more important to the Jets in 2009. More than that, though, Washington represents the kind of player that the Jets should be rewarding with a long-term contract. He came in as a fourth-round pick and immediately started paying dividends. Every time they've asked him for more, he's responded by giving it to them and he's been a model citizen during his time with the team. He's earned a new contract, and there's no reason to think he wouldn't make it look like a good decision down the road. All of that leads us to what might be the most important point of all. Every member of the Jets team is watching what happens. They see the Jets lavishing huge money on Mark Sanchez and Bart Scott, both smart moves, and leaving a veteran member of the team to twist in the wind. They see that and must wonder what would happen if they were in Washington's shoes, and that can't help but lead to questions about how much they're willing to give to a team that isn't going to give anything back to them. That's a bad question to have floating around players' minds as you set off on a new season, and a bad precedent to set for the future. It's time to get the deal done and turn the focus exclusively to the field.